If you thought the Guide 9's were fast, let us introduce you to the Saucony Guide 10 Running Shoes. The 10th edition makes fast feel a little faster with a contoured midsole design and Tri-Flex outsole that provides improved ground contact and flexibility. Lightweight FLEXFILM overlays the structure and support that will get you through even the toughest runs. "Doesn't this shoe come in a wide fit?" 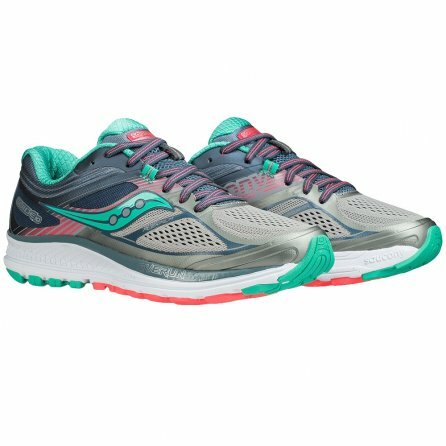 "No, the Saucony Guide 10 Running Shoe only comes in a regular fit. We hope this information helps! "